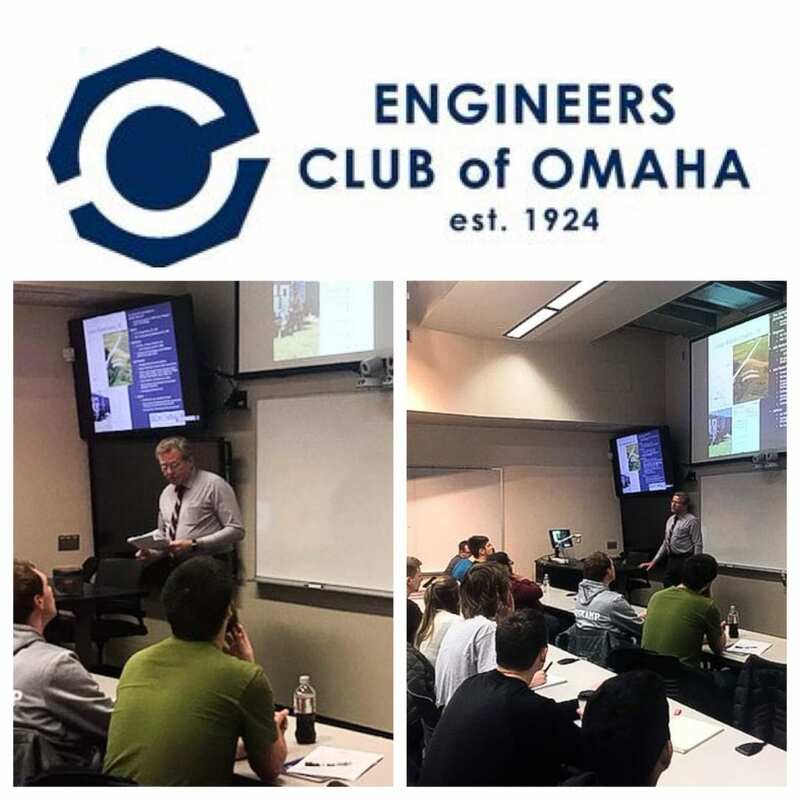 Schemmer’s Loras Klostermann, PE, and current Vice President of the Engineers Club of Omaha (ECO), gave a presentation to Professor George Hunt’s Civil Engineering (CIVE) 385 Class at Peter Kiewit Institute at the University of Nebraska – Omaha (UNO) on Thursday, February 14. UNO’s CIVE 385 class on Professional Practice and Management in Civil Engineering covers basic elements of civil engineering practice. Loras, along with other ECO board members, Brittni Stephens-Yates of Olsson Associates, Daria Sakharova of GBA, Scott Braun of R.W. Engineering, and Mike Hall of JEO, presented their group presentation to the class. Each member of the ECO team covered personal background information on themselves and their work. The second half of the presentation consisted of discussion of the benefits of networking and steps to building a personal network. As part of this presentation the students were instructed how to prepare an introductory “30-Second Elevator Speech”. Four students were asked to recite their speeches for review and comment.